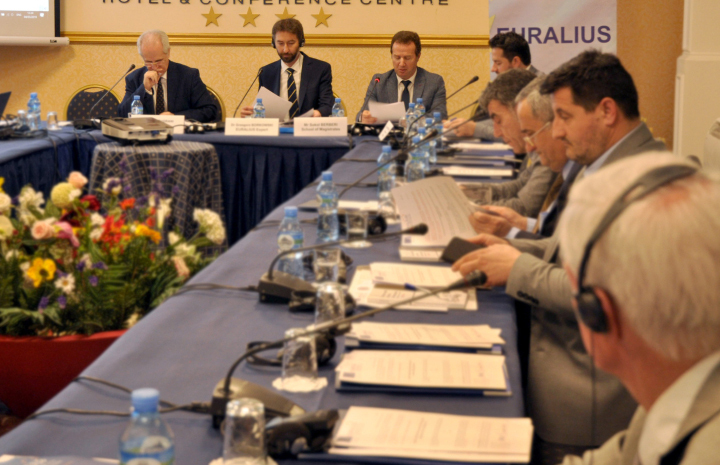 Since 2005 EURALIUS missions support Albanian institutions to bring the justice system closer to European standards. 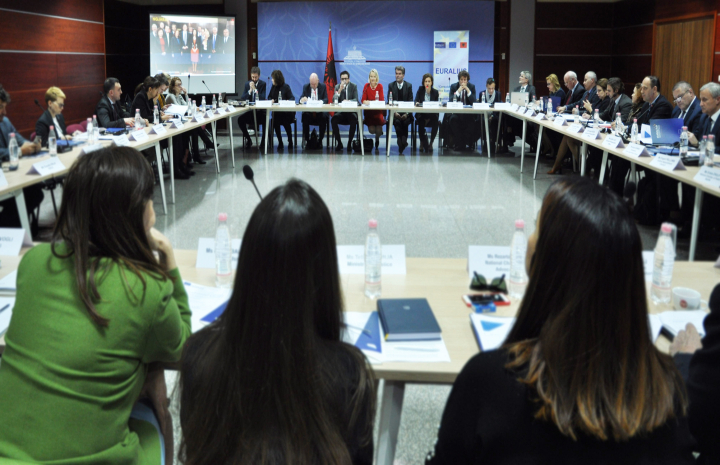 EURALIUS V will focus on supporting Albanian institutions to consolidate the justice system following the comprehensive justice reform. EURALIUS V will expand its assistance to five areas of intervention. Our core team of international and national experts works together with the main beneficiaries of the project, i.e with Parliament, Ministry of Justice, High Judicial Council, High Prosecutorial Council, High Justice Inspector, Courts, Prosecution Offices, Justice Appointment Council, School of Magistrates, Justice Monitoring Commission, National Chamber of Advocates, National Chamber of Notaries and National Chambers of Bailiffs. We invite you to visit our ongoing enriched library, where several consolidated laws are published, and useful research tools are made available to you under “International Standards”. In case you would like to learn more on the previous phases of EURALIUS, please click here!